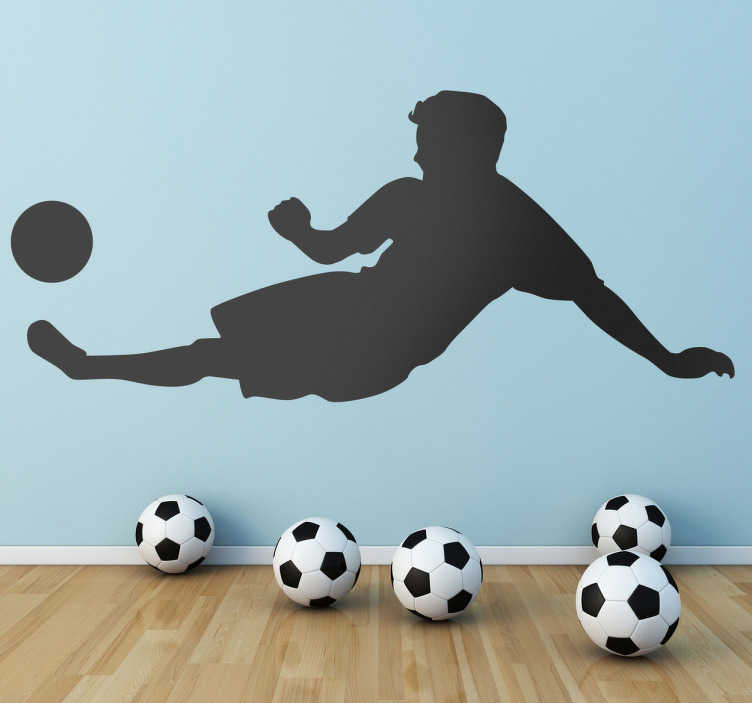 Sports Stickers - A wall sticker of a monochrome footballer in action slide tackling. Ideal for kids' rooms and sports teams. Available in various sizes and 50 different colours.